Above: The castle from a distance. Below: the modern entrance to the castle. 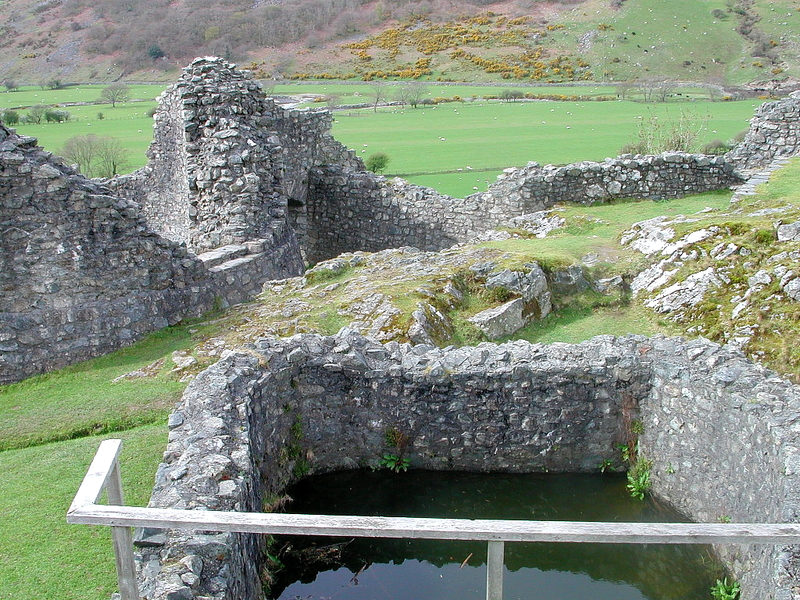 Castles of the Native Welsh princes are amongst the least known and least appreciated of the castles of Wales. Yet, they are every bit as significant as those of the Norman and later periods when monumental stone fortresses were erected to subdue and intimidate the Welsh populace. 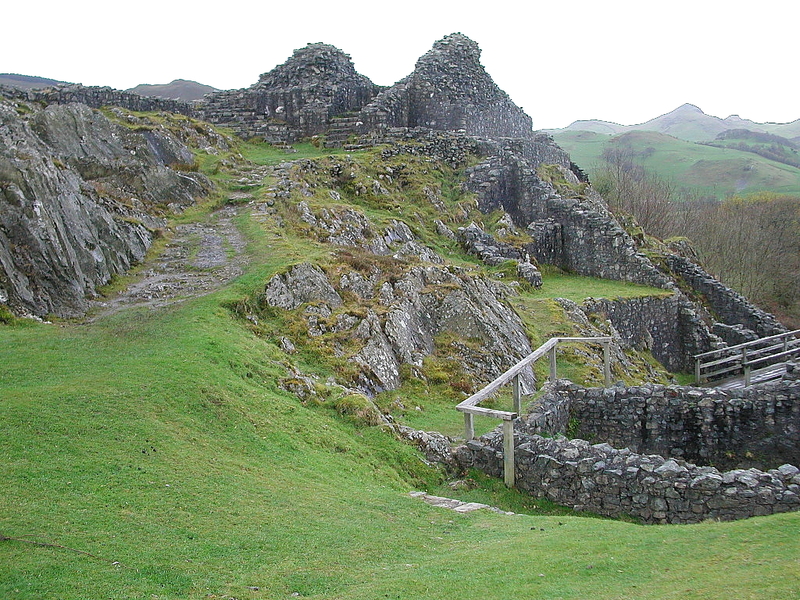 Welsh castles had both similarities to and distinct differences from their Anglo/Norman counterparts. However, their function was less one of aggrandizement of the lord and the result of subjugation of a people than they served as strongholds for an indigenous lord inside which he protected his subjects in times of attack. 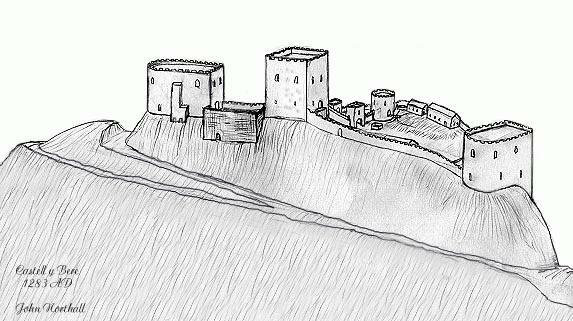 Welsh castles tended to be simpler structures than the English ones, due primarily to the relative lack of funding available to a Welsh prince (particularly in comparison to the Anglo/Norman lords who could afford to hire the best skilled, most experienced master masons and laborers). Welsh castles served their purpose, though, and valiantly defied the sovereignty of the English interlopers. 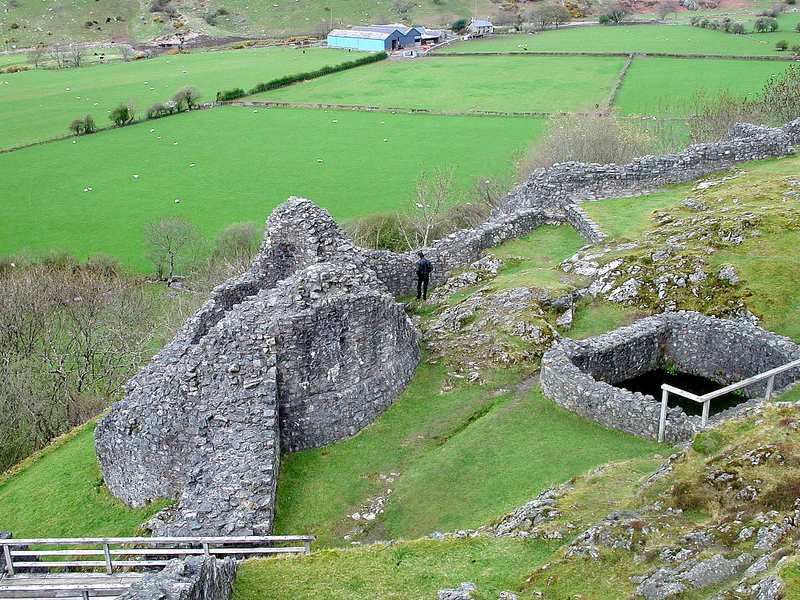 Below: view of entrance to the castle, Round Tower and the well from the Middle Tower. 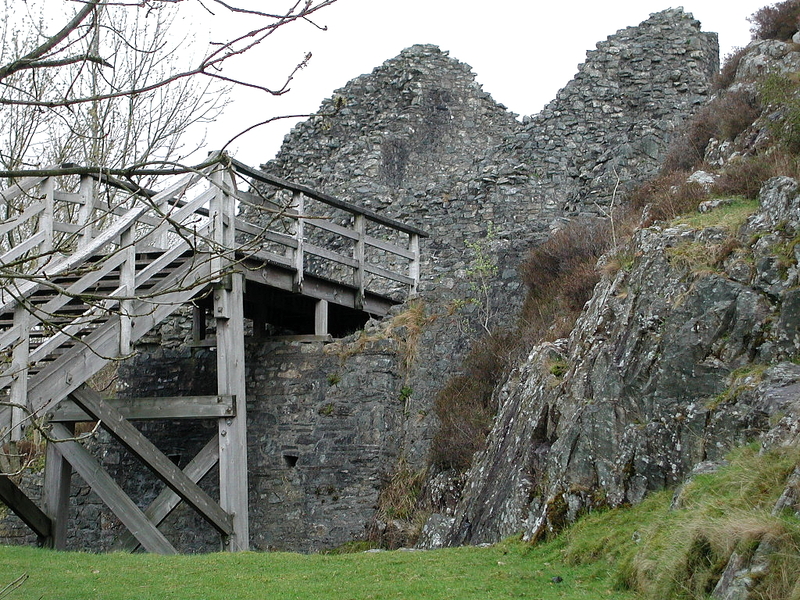 One Welsh castle sometimes overlooked by visitors is Castell- y-Bere, once an impressive fortress built by Llywelyn ap Iorwerth, also known as Llywelyn the Great, Prince of Gwynedd in the early 13th century. But what a marvelous, typically Welsh site for a castle! Embedded in the arms of the darkly foreboding, starkly greenish-gray landscape formed by rugged Cadair Idris and its mountainous cohorts near Abergynolwyn some 10 miles SW of Dolgellau, the greatly ruined Castell-y-Bere now lies isolated from the major communication routes across Wales, atop a steep-sided, flat-topped rock, perfectly situated to stand guard over the surrounding valley floor. The drive along the minor roadway to the site seems to go on forever, but the breath-taking spectacle of Cadair Idris, the "Chair of Idris", is in itself worth the jaunt. Legends have it that if you spend a night on the mountain, you will awake the next morning either a poet or a madman! Below: Passage through the curtain wall adjacent to the South Tower. Surprisingly, although Castell-y-Bere stands in somber ruin, it once was the site of an impressive, lavishly embellished fortress. Today, the persistently-sloping walk up to the castle's gateway seems almost never-ending, but as you round the last curve, the ancient stoneworks jump out at you, encouraging you forward into the inner bailey. What you see first as you approach the castle is its complex, elaborate entranceway, once well-protected by a fine barbican which traversed a deep rock-cut ditch and a series of timber bridges. Remnants of these man-made structures are still visible, and the barbican is now entered by climbing a short group of wooden stairs. Once inside the castle proper, you may become a bit confused, for the outline of the site is difficult to distinguish unless you climb onto slightly higher grounds. 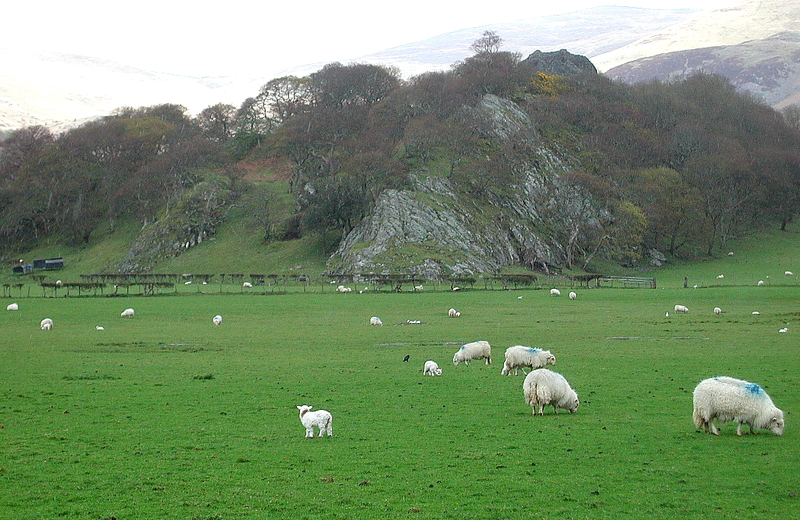 Like other Welsh castles, Y Bere follows the form of the rocky plateau on which it stands, so that its overall design is oblong, almost triangular, but without linear sides. The walls which encircle the castle are low and of fairly poor construction, and would not have been able to withstand a heavy siege. However, the castle's siting and the presence of several massive towers would have compensated for any lack of strength on the part of the walls. 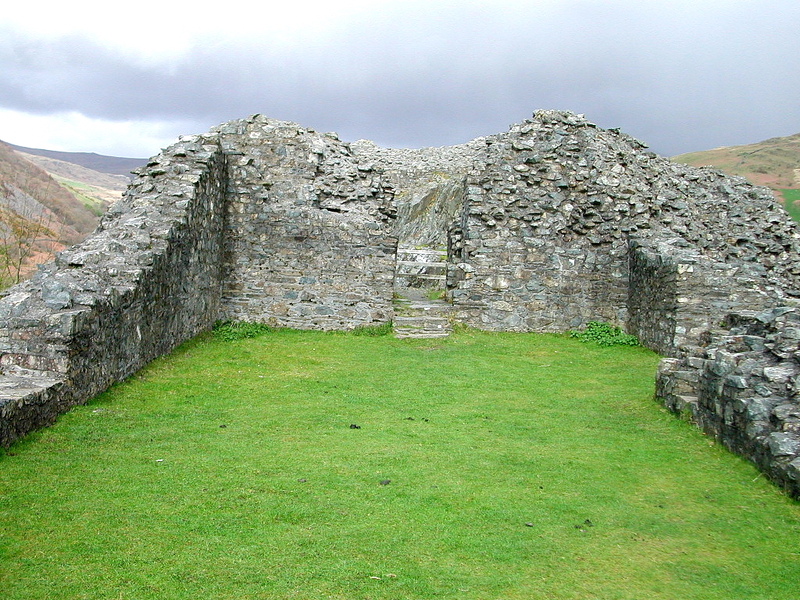 Below: General view of the courtyard and the Middle tower from the area of the North tower. Just inside the gateway are the interesting remains of what once was a huge round tower, placed at that spot to defend the castle's main entry. 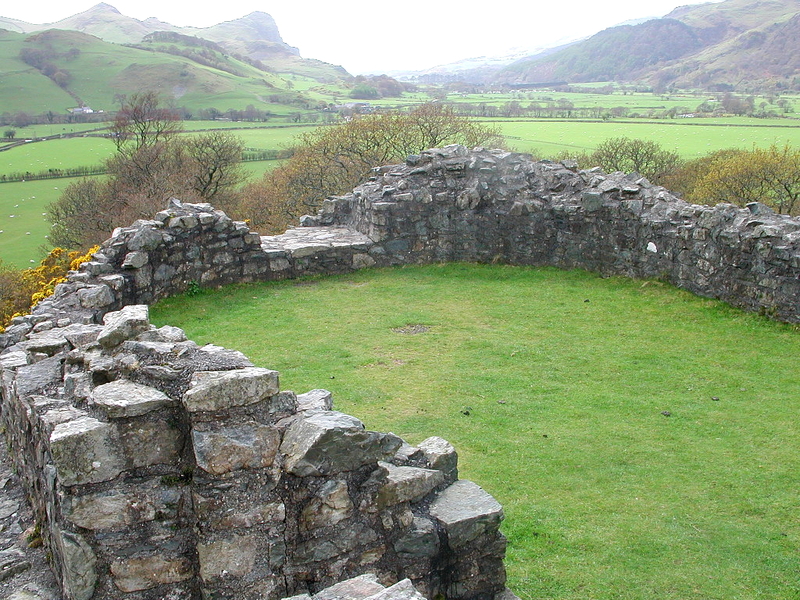 The castle well is also situated in this area of the bailey, an unusual-looking structure, for it is much larger than the average well you will find at most castles. Apparently, this well contained many archaeological treasures, including leatherwork, shards from ceramic jugs, and the like. Today, it remains a curious structure. Below: remains of the South Tower. A circuit around the castle's walls takes you past some of the most amazing vistas in Wales (don't be surprised to encounter groups of artists endeavoring to capture these scenes on canvas!). 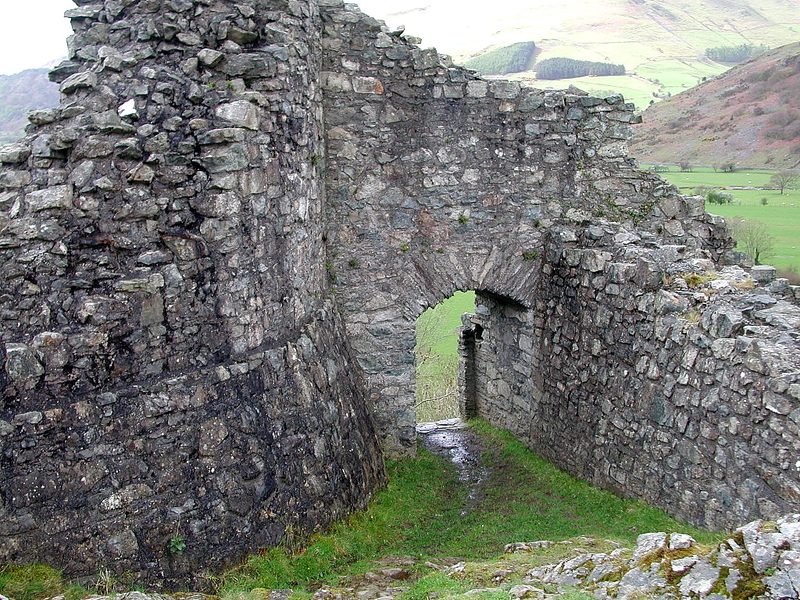 It leads to the most prominent of the castle's features: the two apsidal towers (characteristically Welsh in design) and the keep. 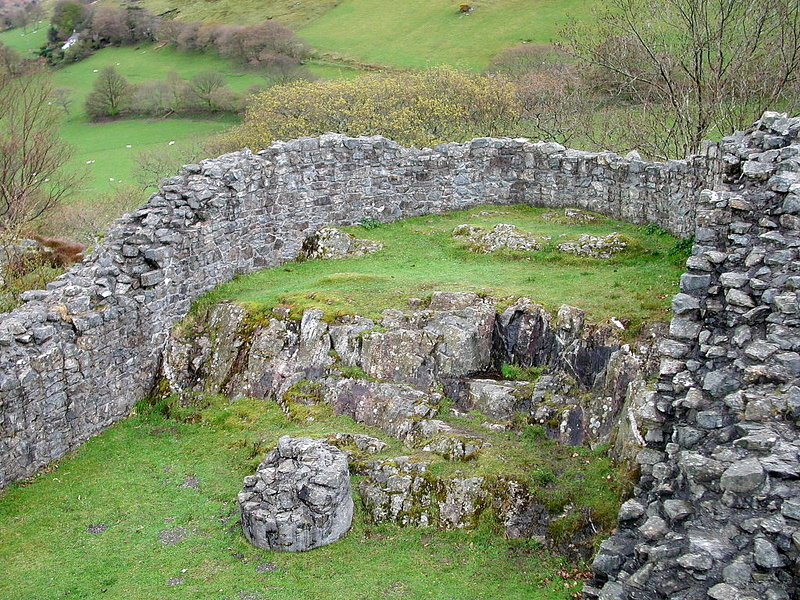 Although all are in ruin, they present us with an interesting image of the classic Welsh castle which was constructed during the Age of the Welsh Princes. At the northernmost point of the crag was erected what we presume to have been the chapel tower. This enormous tower is now only preserved to the ground floor level, but enough finely-carved stone was discovered here to determine its original function, that the chapel probably once stood on an upper story. A steep set of steps still march into the tower. In the middle of the bailey, alongside the gateway, are the remains of a large rectangular tower, labelled by some as the great keep (below). Once again, this tower is poorly preserved and only the lowest level remains intact. It is approached by two disjointed flights of steps, which give it a slightly confusing appearance, since the upper level into which they must have opened no longer exists. From this vantage point, though, you can gain the best perspective of Y Bere's overall plan, as well as stunning views of Cadair Idris (which, of course, looms high over the castle and can be seen from any spot on the site). Below: two views of the North Tower. The southernmost area of Castell-y-Bere contains perhaps the most intriguing structure at the site: a second, larger D-shaped tower. Unlike the northern tower, this one is actually detached from the rest of the castle, associated only with a sturdy wall which may have been added after Edward I seized the castle in the late 13th century. The south tower (below) evidently functioned as a self-contained, self-sustaining unit, usable as a refuge and last line of defense during a siege. In essence, this formidable tower was a secondary keep, and may have even been more durable than the rectangular one in the midst of the bailey. The 10 foot thick walls of the southern tower fall well short of their original height, which may have been as tall as three or four stories. But much has been preserved and gives it an air of intimidation, as well as a profound feeling of safety from attack. The structure is interesting to explore, for it seems strangely out of place, aloof and almost isolated, even though it was one of the most essential at the site. Below: two views of the South Tower. 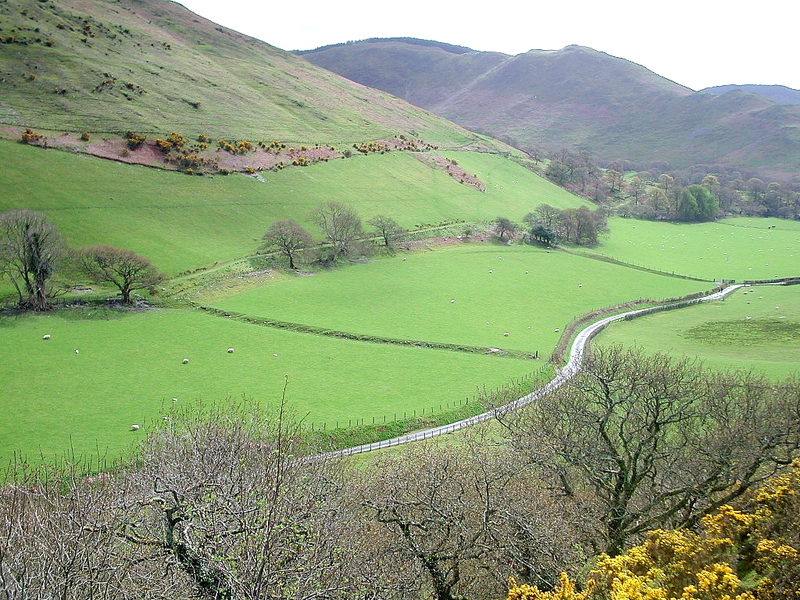 Castell-y-Bere was to remain a Welsh stronghold for only about six decades. In April 1283, the castle was finally surrendered to the English, the last castle to fall during Edward I's momentous incursion into Wales to crush the rebellions of the Welsh. After falling to the English, Castell-y-Bere was repaired to some degree and a settlement was established at the foot of the craggy hillock. 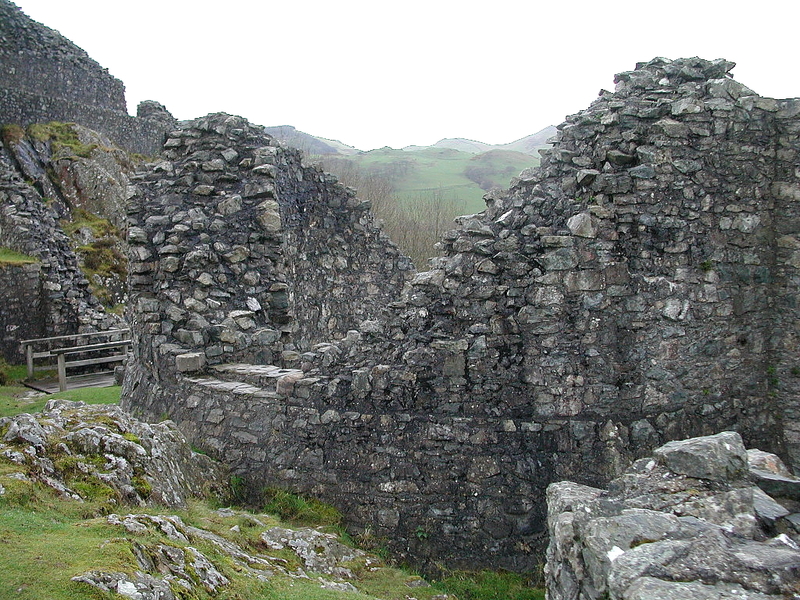 One last attempt was made to retake Y Bere by Madog ap Llywelyn, who considered himself Prince of Wales, in 1294. But this revolt was squashed shortly thereafter, and Castell-y-Bere was rendered useless from that point onward. The new English settlement was abandoned and the castle was never used again. We are fortunate, therefore, that we actually have any remains of this important Welsh-built castle to explore, having lain idle and neglected for over 600 years. At one time, ironically, it would have been one of Llywelyn's great showcases, adorned with decorated tiles, stained glass and lovely stone carvings of armed soldiers (Davis, 1988). While that image is difficult to envision in these modern times, it is possible to picture a bustling community enlivening the grounds, watching the valley for interlopers, and preparing for a time when usurping Welsh princes or the English would threaten their existence. We can sense the spirits of these people and appreciate the sacrifices they made to protect and defend their homeland. Castell-y-Bere is now in the care of CADW: Welsh Historic Monuments, and is freely accessible to the public at any reasonable time. Make a special effort to see this castle if you are ever in Mid Wales. 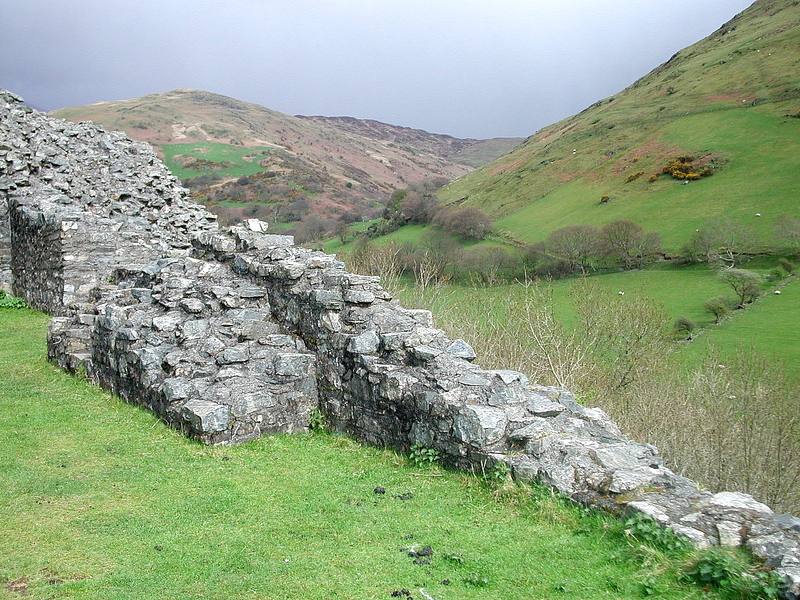 Its awe-inspiring location and role in Welsh history are well worth your recognition. 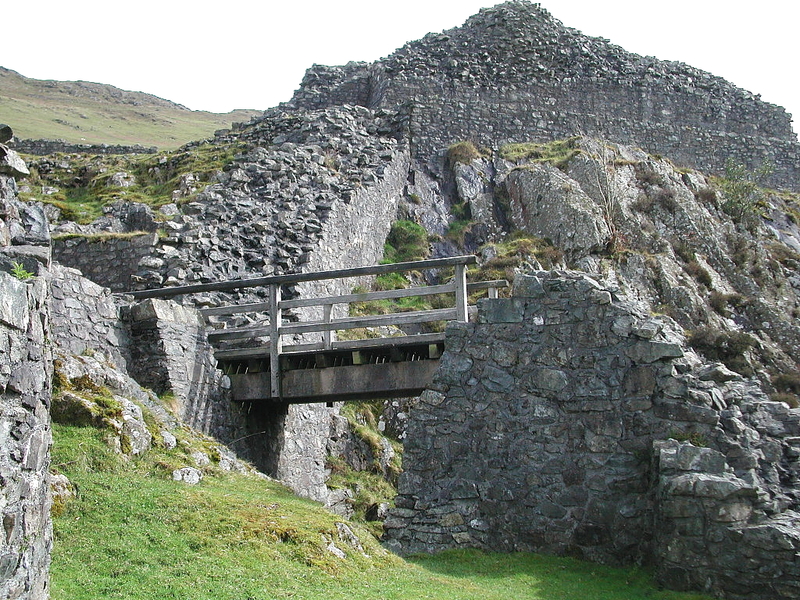 So why take the time to visit remote Castell y Bere? The remains are indeed slight, and it's difficult to picture how the castle may have looked in its prime without the help of an artist's reconstruction. Still, the site is among the most compelling I've visited in Wales. The historic importance of the castle (mentioned above) combines with the breathtaking grandeur of its siting, to create yet another unique Welsh castle experience. 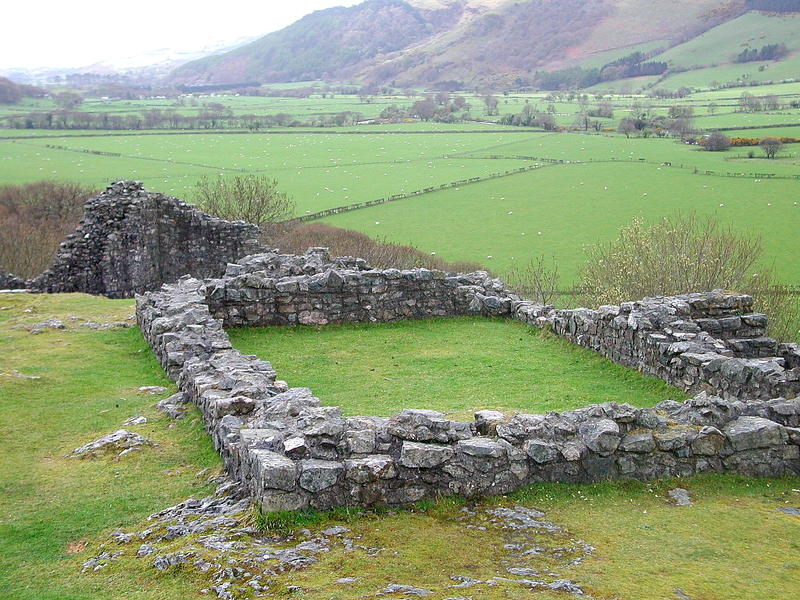 You may in fact find yourself spending more time gaping at magnificent Cader Idris and the surrounding mountains than examining the remains of the castle. Like Castell Dinas Bran and Carreg Cennen, the castle's dramatic surroundings and an appreciation for its strategic siting makes exploring this variety of Welsh castle more rewarding than others more familiar to tourism and literature. In Wales, it almost always pays to make sure your travels lead you "off the beaten-track" a bit, and a visit to stunning Castell y Bere demonstrates why such trips are so important. 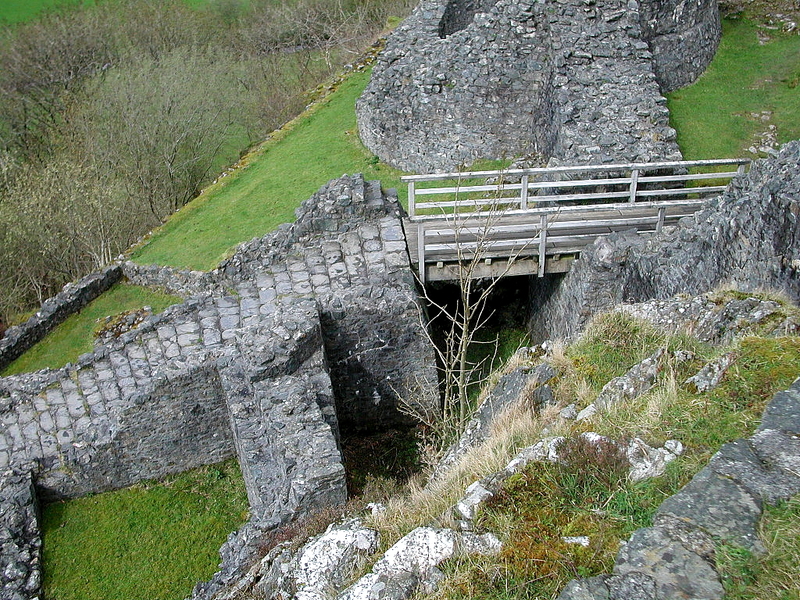 View of the entrance to the castle from the rock-cut ditch below. View of the countryside from the ruined South Tower. 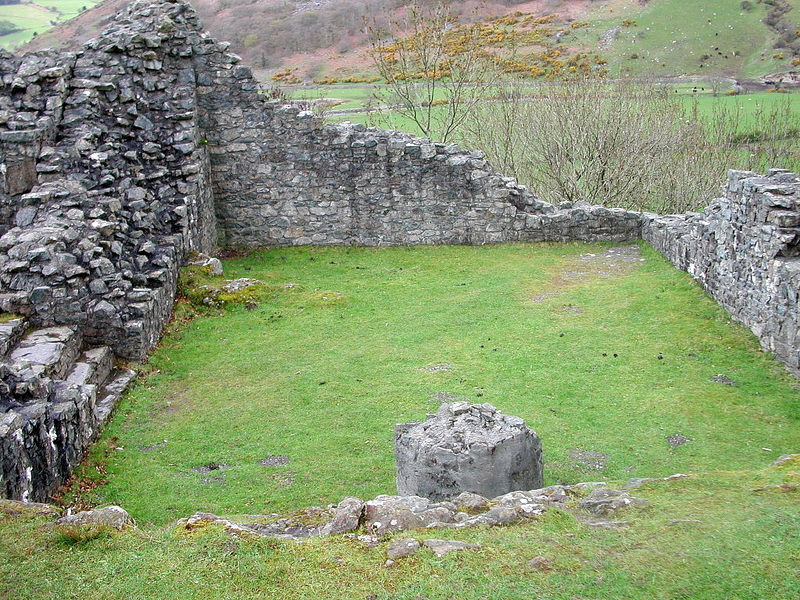 Closer view of the well and the Round Tower. 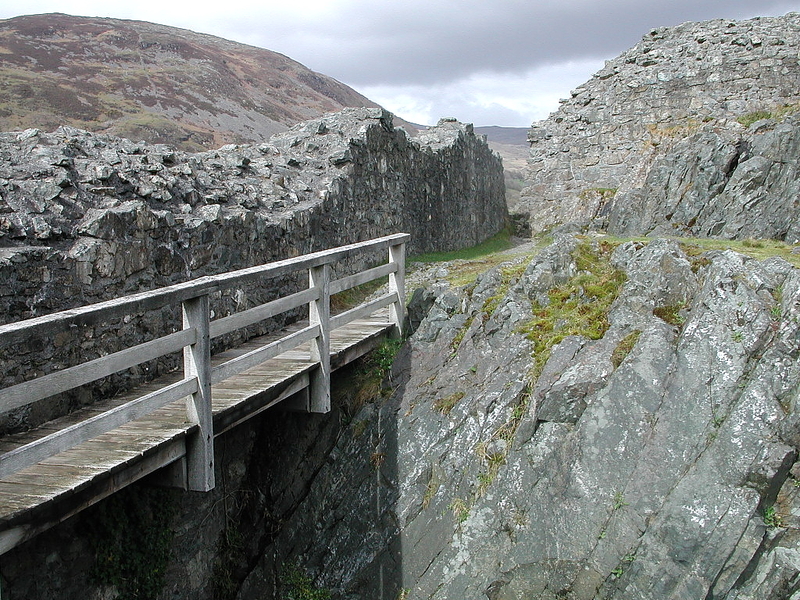 View of the bridge spanning the rock-cut ditch leading to the castle entrance. View of one of the courtyard buildings w/the South Tower at the lower left. Another view of the beautiful countryside surrounding the castle.